Before his death from lung cancer this week at age 83, Ron Zeller did a lot of living. Born in Milwaukee Wisconsin and educated at BYU, Ron spent more than 50 years traveling the world and making a difference. Ron started his career as a geologist and later a school psychologist before becoming an Est trainer in the 1970s and 80s. He was one of the founding faculty members of Landmark until his retirement in 2010. Over his career with Landmark he led and trained leaders of the Landmark Forum, Advanced Course and Communication Programs. He led Landmark’s programs in all over the world including the first Landmark Forum in Beirut, Lebanon. Despite being diagnosed with stage 4 lung cancer in June 2011, Ron lived nearly 5 more years. This wasn’t his first bout with cancer either. He survived a bout with terminal stomach cancer 20 years ago at age 60. H e not only recovered fully from his first bout of cancer, but took his health and vitality to an entirely new level as an endurance athlete. At the age of 64, he ran and won his age division in the 100-mile Wasatch Endurance Race in Utah, one of the most demanding ultra-marathons in the world. This was just the first of many races he would run in places all over the world. In 2004 Ron took up power lifting and by the age of 72 had had broken three US national records for his age. 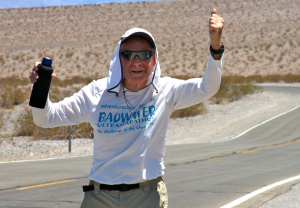 As recently as age 77 he completed the 135 mile Bad Water desert endurance race, running solo between the lowest and highest points in the continental United States. Ron was an extraordinary example of living a life of power and contribution at any age under any circumstance. His years of contributing to and inspiring people through leading transformational programs and his constant quest to redefine what is possible as you age are captured in his 2014 book, Aging or Ageless. A book about transcending aging that focuses not on what to do to stop aging but on how to be “ageless” in the face of any circumstance you face. He leaves behind his wife and partner of 30 year Mary Louise Zeller, a large loving family, and a vast community of people around the world who will never forget him or the difference he made in their lives. I am sad to read that Ron Zeller has passed. He was a gentle, inspiring man in so many ways! And he touched so many in their deepest of hearts. RIP Ron. Never mey you, but knew your reputation. Awesome person! This story is very uplifting and proves that good living will mean longer life for all people. This article has given me Goosebumps. It depicts the spirit of living life a 100%. He was surely a strong and fun loving man. I too went to the Forum because I never took off of work. 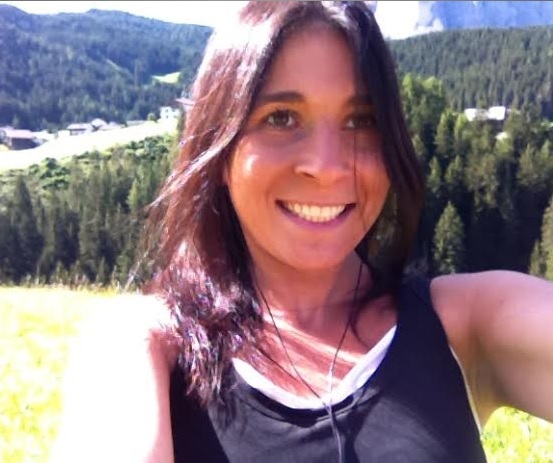 I was a workaholic but had a dream which was to travel around the world. Always, buried in piles of workload, I never had the chance to live my dreams. I felt so incomplete and unsatisfied. The Forum made me realize that I earned to live happily and I have now finally applied for a month long vacation. I hope to have a great experience and be happy again. I found the courage in the Forum and this is one place I wasn’t afraid of anything. Thanks to my friend who took me here in the first place. A great human being. It has been an honor and joy to have had you as a friend and teacher. To my dad, I love and miss you. It has been a year since we talked. So sorry to hear of Ron’s passing. I attended a small workshop 20 years ago that he held at the Sundance ranch on time management. To this day I use many of the concepts he shared. Ron was an inspirational and genuinely kind person who looked to help others. I’m glad that I had the opportunity to know him and learn from him. Rest In Peace. His message is so loud. I Listened to this podcast in January for the first time. I have since listened to it several times. Thanks for the reminder that anything, anytime is possible. Your wife breathes your work. Champion shows up in the work! Thanks, champion.